USB over Ethernet is a professional software solution allowing to redirect USB devices over network, as well as over Internet, Wi-Fi or VPN. 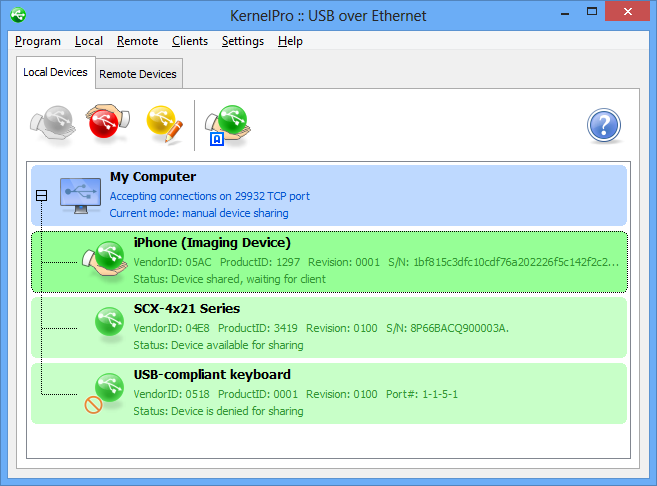 You can connect to a shared USB device and use it just like it is plugged in your machine. The program includes both server and client functionality, but a separate free client is available as well. 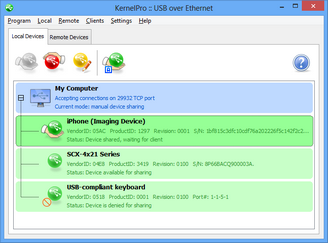 USB over Ethernet software is useful for everyone who needs to work with USB device that is physically plugged into remote computer. And computer is located in another building or even another city. USB over Ethernet is easy to install and use. The program does not require any special knowledge and installs easily right out of the box. 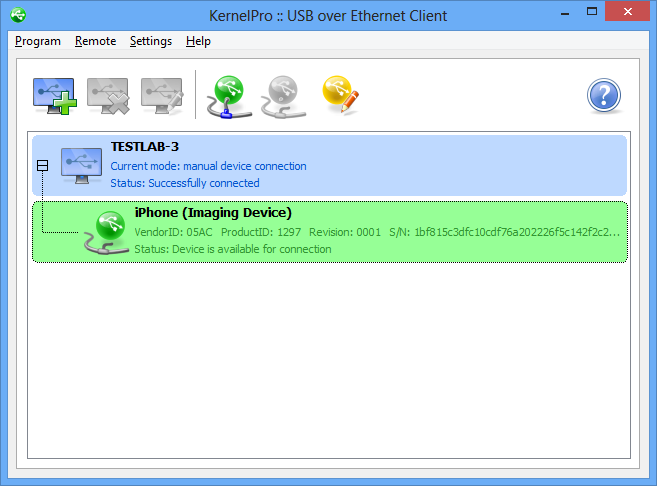 Administrator privileges required to install or uninstall USB over Ethernet.